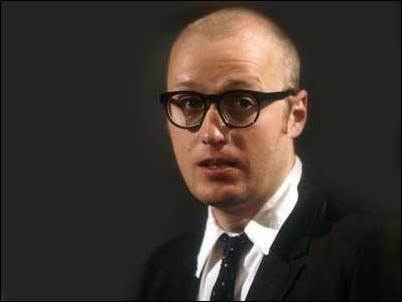 It’s getting late and I’m tired after another race being won on Formula One, 2010, this time in Hockenheim, but I haven’t written today’s review, yet, so here is my second write up of one of my favorite characters, this time, from the acting talents of Adrian Edmondson. Aye, it is indeed the character of Eddie, from Bottom and Guest House Paradiso. I think what I like so much about Eddie, is that despite being a complete idiot, he’s actually pretty darn clever. I mean, sure, that’s conflicting and he ends up in all sorts of stupid situations – like when the kid falls off the swing, down the cliff, in Guest House Paradiso (off screen, of course). But despite being stupid enough to set that up, he’s also clever enough to set up a contraption which will, when Richard tries to wake him up, will make it sound as though he’s getting ready for the day. Sure, it sounds more like Australian stock sound, but it gets the job done! Another thing about him is that he’s so well written – now, we expect as much, but if you watch this link, you’ll see a scene that I don’t think could have been acted out better than by these two characters. It’s a great scene – I find it comical just thinking about the egg – but it’s the character combination that makes it work. You’ve got innocent looking Eddie, who uses a nutcracker to, well, crack nuts, up against Richard, who’s using meat hooks to drag a man by the nose. It’s Eddie who does it for me though – his innocent look and less than innocent actions combine so well and in all honesty, work to make what I’d expect to be one hell of a drinking buddy.